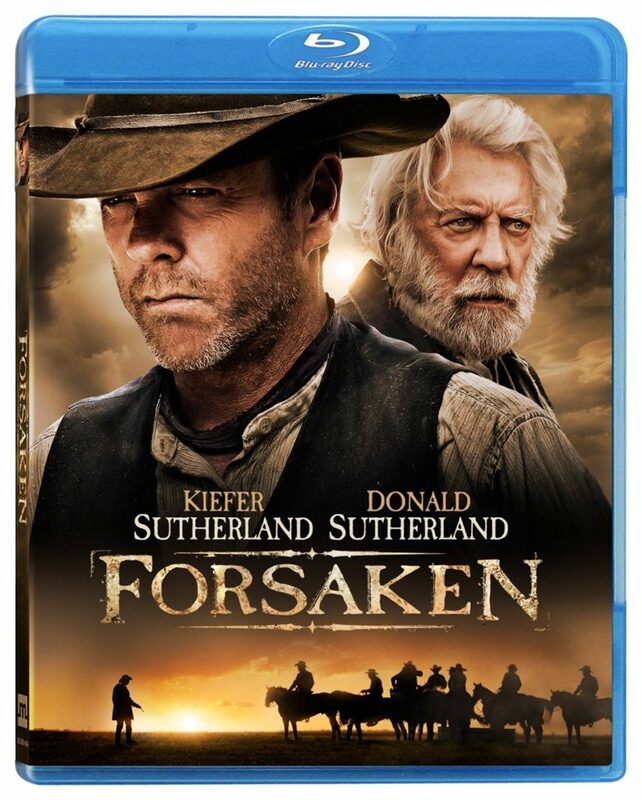 Forsaken is a 2015 western starring Kiefer Sutherland (The Lost Boys). Next to a number of other recent westerns, I was looking forward to this one quite a bit. 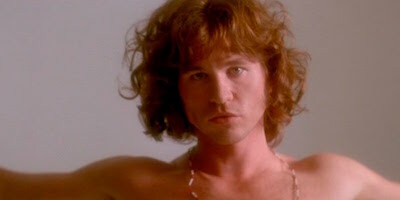 It kept a low profile, maybe due to lack of other bigger (charming) stars, as the Sutherlands (his father Donald plays his on-screen father) rarely carry a film on their own, and Demi Moore (A Few Good Men) is way past her Tinseltown prime. The movie tells the story of John Henry Clayton (Kiefer Sutherland) who returns home after years of civil war to his father’s ranch. 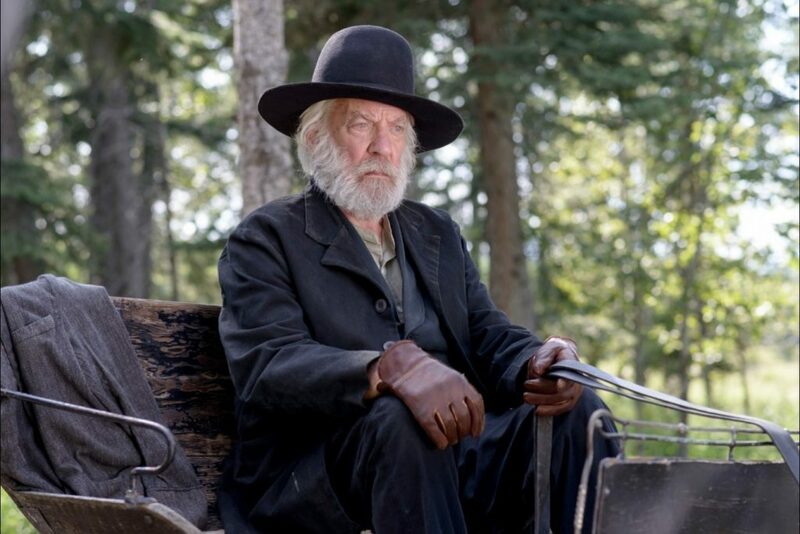 He goes by Reverend Will Clayton (Donald Sutherland) now, and tells him the mother died years ago. 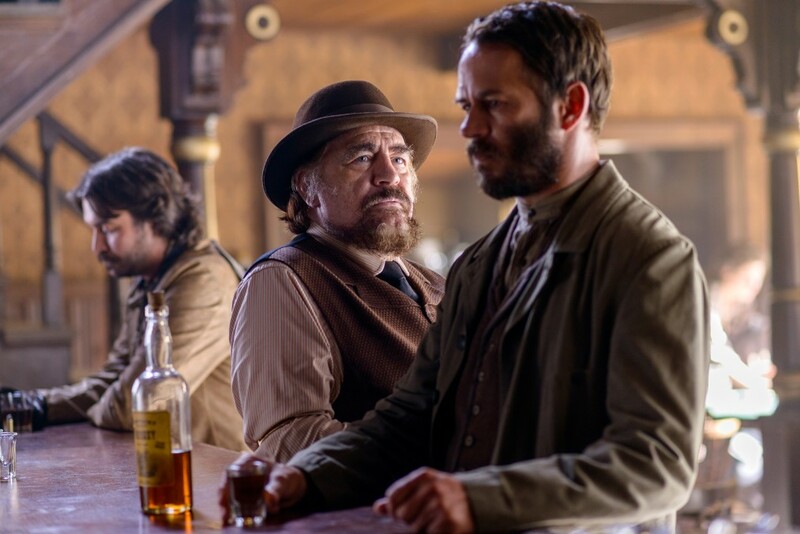 There’s little love left between the two grudge-bearing men, with a young brother lost decades ago, and a mother buried while John Henry away on killing business. As the village next door’s new priest, the local mood is double trouble. 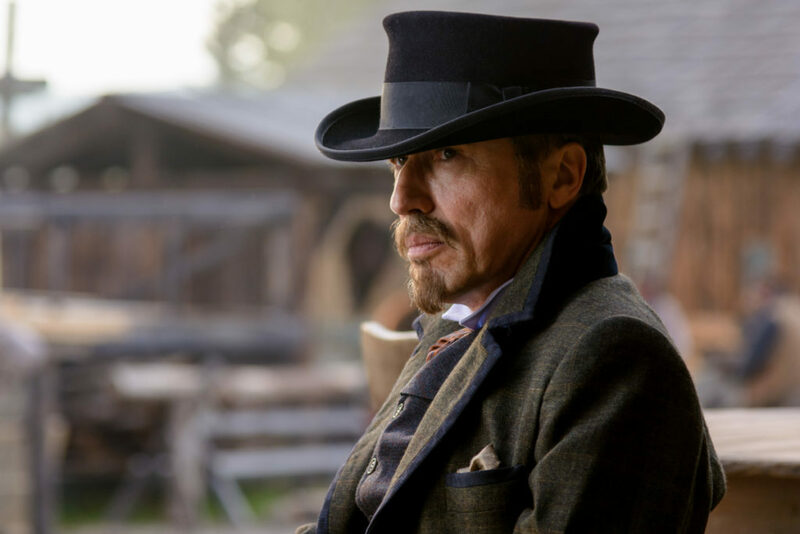 The brutal McCurdy (Brian Cox) employs a gang of thugs to force ranchers in the area to sell, because the railroad is getting closer, and the prospects for profit are good. 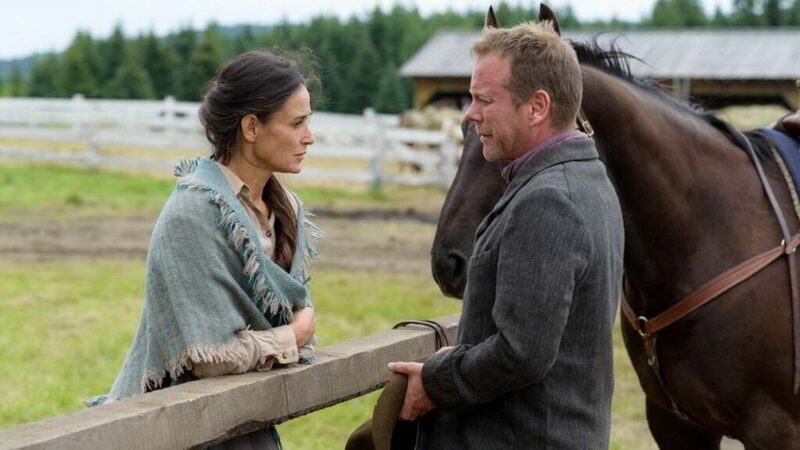 John Henry starts of doing everything to gain back his father’s trust and love, trying really hard to be a pacifist, swallows the fact that his youth love Mary-Alice (Demi Moore) married. The thugs, led by “Gentleman” Dave (Michael Wincott), however step up their brutality and he has little chance but to continue doing what he swore not to do anymore: killing….. Even though this time the clock isn’t ticking as it did in 24, Kiefer Sutherland is, almost like Gary cooper in High Noon, in a tight spot, and he knows his time is coming. It doesn’t take long for John Henry, back in his home town, to be confronted with the realization of where this will end. It is stereotypical for the character of the redeemed gunman who swore adios to violence but is forced by his evil surroundings to pick up the pistol and kill again. It could be interpreted as a classic American message, in which the world is basically evil, and you better be packing when walking the earth, leave pacifism to the lefties, who are then duly maltreated by the baddies. You could also interpret it as the eternal tension in the western genre, a pendulum swinging between the gunman as the hero, the anti-hero or the shattered victim of destiny. The last one is the character that you see on screen again and again: returning war heroes, criminals on their second chance, sons who want to live up to their fathers. Director John Cassar by the way was also the producer and often director behind 24, and he also developed the miniseries The Kennedies, which I haven’t seen yet (but plan to). The man’s been in business for a while, but one could assume he feels more at home with the long form TV show format as a narrative platform. A hat tip to his courage in trying here to tell a quiet and personal story, without getting hung up with cliches. He resists the temptation of leading the movie into a slaughterfest, instead it is a slow crescendo with a crystal clear outcome, with some interesting twists. 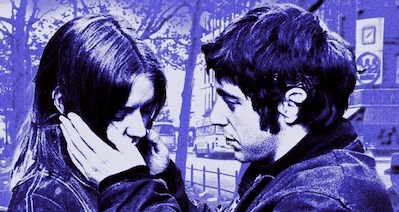 While the showdown at the end is obvious and standard, the viewer knows it is not the true climax of the movie. This isn’t a Sergio Leone type celebration, it’s more like William Munny in Unforgiven, who – to make that connection again – was driven by an evil world into picking up the gun once more to reluctantly counter some bad guys. As often, here too, the anti hero is superior. Demi Moore for one is just a marginal figure, and Donald Sutherland is also not very convincing. You could say it is not an actors’ movie, but at least son Kiefer Sutherland manages to one-up the average script a few times, screaming at this celluloid and real world father, a few moments where true emotion sparks. Because the film does know emotion. It’s a good looking movie, it’s got decent craftsmanship, the music suits well. What else can I say, it’s a small, fine, not perfect, but definitely solid and watch-worthy little western. There’s a BluRay out that in all likelihood offers the same features as the German one I saw. Subtle but at times roaring sounds, nice spatiality and real dynamics. The dialogue could be a bit more audible, but the audio engineers are not to blame for the Sutherlands’ mumbling. The image transfer is vibrant, but could’ve been a tad sharper, also the black levels are a bit sub par. There’s hardly any extras on the disc I had access to. 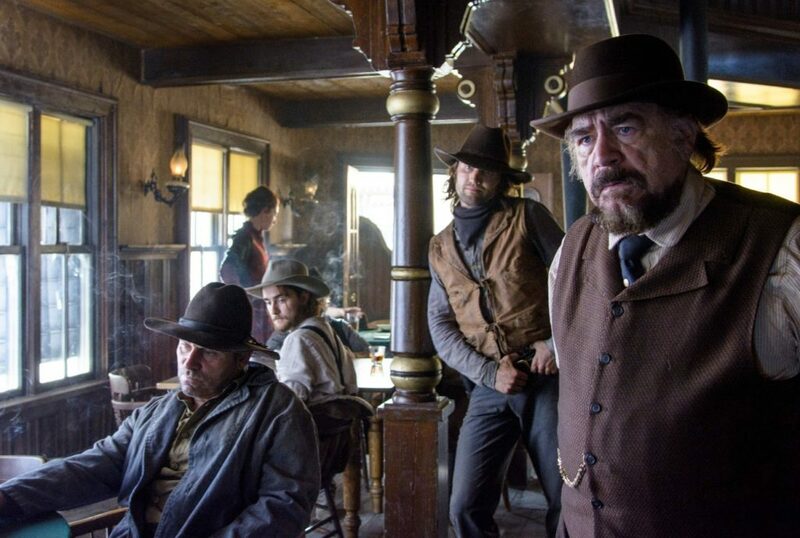 Basically, I am happy about any new western coming out. We’ll see how the Magnificent Seven remake-remake holds up, anyways I thought Forsaken was very entertaining, conveniently subtle and full of great shoot-outs, with some okay acting. The movie suffers from wooden performances and a weak script, which just doesn’t offer a lot of platform for the characters, so it all ends up one big cliche. The BluRay is first rate quality wise, but at least the disc I got had just about no extras on it. The few people still buying westerns today deserver a bit more for their bucks I think.